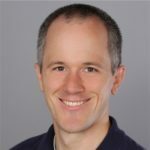 Question: When will the list of .NET Standard 2.0 APIs be baked/ready? — This all available on the .NET Standard GitHub repo. For more information please checkout .NET blog and .NET Standard GitHub repo. Question: Is Visual Studio 2017 still in RC? — Yes, it is. The team does continue to push updates to Visual 2017 RC and you will notice a change in the build number but, this is still all RC. Question: How do I run an ASP.NET Core 1.1 application on update 3? — Currently, you have to update the project manually. Visual Studio does not contain templates for ASP.NET Core 1.1. For more information on how to update your application to 1.1 please read ASP.NET Core 1.1 RTM announcement from November 2016. Note: Visual Studio 2017 we will have both templates for ASP.NET Core 1.0 and 1.1.